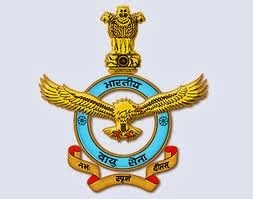 Indian Air Force has issued notification for recruitment of male and female personals for Civilian posts in Indian Air Force. Applications are invited for the posts of LDC, MTD, Cook, Painter, MTS, Mess Staff, Safaiwala and Aya. Candidates can apply through Indian Air Force website. The details are given below. Candidates applying for the post of LDC should be between 18 to 27 years. For all the other trades age limit 18 to 25 years. LDC – The candidate should have completed HSC. He/She must have a typing speed of 30 or more words in English. Other Trades – The candidate should have passed SSC or equivalent from a recognized university. The application should be submitted offline. The format is prescribed in the employment news paper on 28-12-2013. The application form should be sent to the address mentioned in the application form.